iittala Aalto Finlandia Dark Grey Vase - 8"
Deep and mysterious, iittala's 2016 Dark Grey color will be as timeless as the shape it saturates. Inspired by the original Savoy vase, the taller and leaner Finlandia will make a dramatic display with or without flowers. The free-flowing lines of Alvar Aalto's 1936 design are left untouched, celebrating the curving shores of Finland's lake-filled landscape. Fluid in form, each vase is expertly crafted to highlight the bluish-grey hues when the light dances upon the bends in the mouth-blown glass. 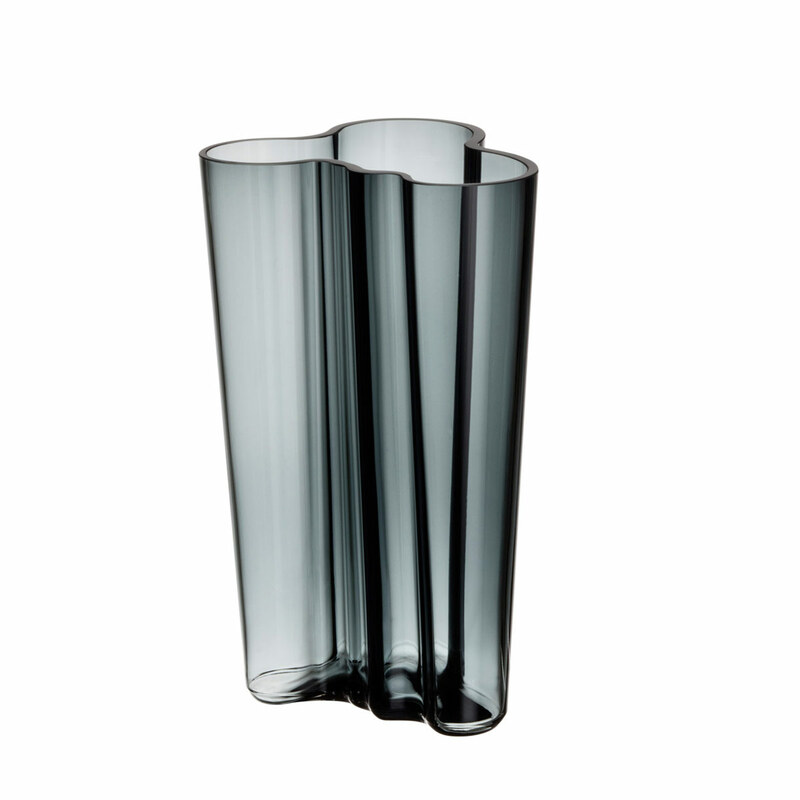 Take your love for an iconic design to newfound heights with the iittala Aalto 8" Finlandia Vase. Reviews of iittala Aalto Finlandia Dark Grey Vase - 8"
Questions & Answers for iittala Aalto Finlandia Dark Grey Vase - 8"